A bit more than a year ago, I’ve published a comic book reader app for Android, called Astonishing Comic Reader. And last week I’ve published the 100th release. Time to summarize the experience. The first version was very basic. There was no gestures, no fullscreen mode, and had a lot of bugs (mainly due to some devices, like Samsung tablets). But after only a week-end of work, you couldn’t expect much more. Now the app offers tons of features, like cloud integration, a nice screenshots system called Snapshots, Material Design, intelligent suggestions, Muzei and Chromecast support… There is also a web version and a Windows 8 version. The Android app has almost 65K downloads, with more than 1400 users each day. Of course, some people are busy reading comics each week-end! More than 2500 users have rated the app, with a 4.08 global rating (and increasing). With the coming 101th release, there is more than an update each 5 days. Yes, I have a full-time job, and also have the time to work on other apps (and do other stuff as well, like reading comics 😉 ). 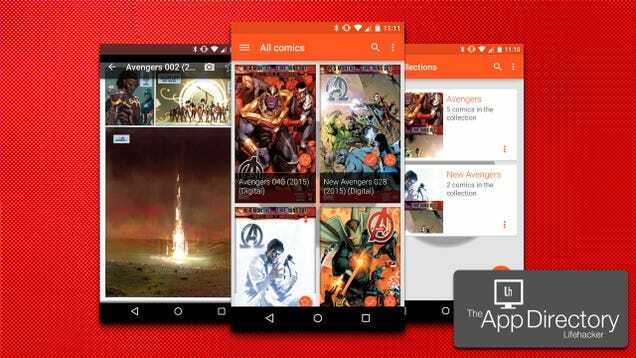 The app has also been featured on several websites, including several Android news websites, and LifeHacker, which describes it as “The best comic reader app for Android”. How nice is that? As I’m writing this article, our Google+ community has 499 members (come on, 500th member!). And they are very active, giving me a lot of feedback, which is an absolute necessity when you’re working on an application. No feedback means you’re the only one making decisions, but maybe they’re the wrong ones. When you add a feature, you’re not sure if it’s really needed by your users. Of course, you can be on your own for a lot of things. But after a time, you need to know whan your users think. That’s why my G+ community is so important to me. I also receive a lot of emails about the app. I don’t have numbers for that, but I generally receive at least one each day. Most of the time, it’s a bug report or some suggestions. Sometimes it’s just a “thank you for making this app”. And that’s awesome! There is more astonishing stuff coming soon. If you don’t read comic books yet, there is no better time to start!